We need to make room on our shelves for newer titles, so we are clearing our shelves of many older titles including titles that have subsequently been translated into English. 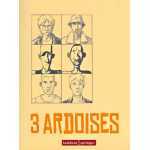 Every Bande Dessinee title in our store has been hand selected by me for the quality of the artwork or storytelling, or some other salient feature. There are often benefits to having the French editions even if there are American editions. The French albums are larger than their American editions and typically have higher production values. For example, did you know each french volume of Lastman includes a back-up story by the creators featuring chibi versions of themselves, color sticker sheets, and a dustjacket? All of that is cut out of the American version. 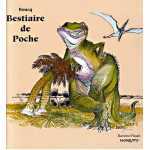 An excellent collection of Boucq’s work showcasing his animal drawings and illustrations in color and in black & white.